The parent-teen relationship is naturally difficult. As kids reach the teen years, they begin to assert themselves and take control of their lives. Parents, at the same time, have certain demands and expectations of their teens that are in conflict with their teenagers new found sense of freedom. Often there is a period of learning and adjusting that takes place and a harmonious (mostly) compromise is reached. However, this in not always the case. Teens can become extremely aggressive in their desire to be in control of their own lives. This situation can be difficult and challenging for parents, especially single parents. What Is A Defiant Teen? When teens goes beyond the normal scope of teen-parent struggles and become extremely aggressive, they are referred to as defiant teens. Defiant teens tend to be verbally and physically aggressive. They will not participate in family events, do their chores, or homework. Sometimes defiant teens refuse to participate in school as well. When you try to get a defiant teen to shape up your are more often than not faced with hostility and anger. This hostility can even at times become physically threatening to the parents. 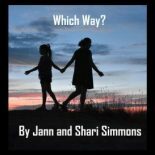 When you find yourself in this situation, strong decisive action is needed to correct the teens behavior and regain some type of family harmony. Decisive action does not mean violent action. It mean putting together a plan and using some of the ideas below to regain control of the situation. Teens that are displaying serious defiant behavior do not really understand the consequences. The teen years are protected because people understand that decision making skills are underdeveloped and troubling behavior can be corrected. In other words, the teens years offer opportunity for parents and adults to shape the character of teenagers, no matter how difficult they may be. However, defiant behavior is much less tolerated by adults and defiant behavior often ends up with jail time of worse. Correcting defiant behavior is good for both teens and parents. The sooner issues are addressed the better is is for both parties. What Are Some Strategies To Try With Your Defiant Teen? Fortunately, if you have a defiant teen, you have a lot of resources from parents before you who have had to face this difficult situation. Here are some of their recommendations. Try to find the root cause. Talk to your teenager and try to find out what is going on. Show them that you care and are interested in solving the problem. Have a clear set of rules and expectations. Make sure your teenager understands the rules and any consequences of not following them. Create a contract. Write down the rules and expectations and go over them with your teenager. Both of you should agree on the rules and consequences and sign the contract. Make it an official family document. For breaking the rules, take away privileges. TV, computer, toys, and the like should be treated as privileges, not rights. Then, if you need, take them away when your teenager breaks the rules. Teens are button pushers. They know which ones work. Don’t respond emotionally. Keep a cool head when you are being challenged. Keep them busy. Push or guide them into activities that are positive and engaging. Don’t always fight. Choose your battles. Stay connected and make sure that they know you are interested in their lives. Take some of the suggestions and put together a plan. Some situations are worse than others, so you will need to use your judgment as to what is required. Once you have the plan, act on it and see if you cannot change the situation for the better. If your actions are not working, try something different and see if it works. Be creative. If nothing seems to be working, you can call us for a free consultation. We are there to help.